Fan Zhendong is currently on top of the World. In my opinion, he will be the next Ma Long in table tennis. And maybe the next Grand Slam (the 6th Grand Slam in the table tennis history). 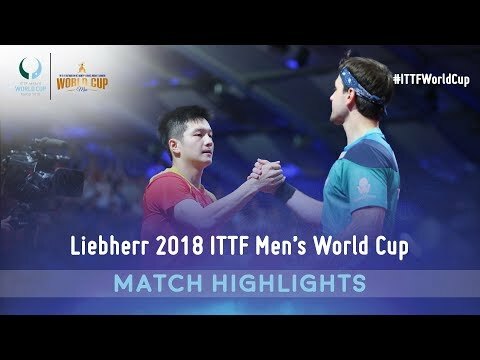 In the final match of the Men’s World Cup 2018, Fan Zhendong played with Timo Boll. The match point is the powerful forehand attack of Fan Zhendong. The stadium was exploded! However, due to the huge pression, Fan Zhendong thrown the racket to the ground! It’s not the good image of the table tennis rules. I think it is due to the huge pressure of Fan Zhendong. Lately, Fan Zhendong also shared this moment with his personal coach, Wang Hao. It’s the recommendation of the head coach Liu Guoliang. He promotes the “personal expression” of the top players. This affects their images (for the popularity, and for the image of the “hero” (asian culture)! So remember in the final match, Ma Long jumped on the table! Zhang Jike ripped down his T-Shirt. And now Fan Zhendong thrown his racket. The match is crazy! The European fans put the hope on Timo Boll. The audience always support Timo Boll. This make the match is more interesting. 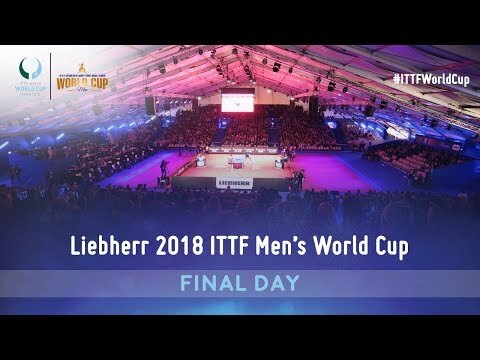 Nearly 40 years old, but Timo Boll is still the legend! Elegant! Bright! and Respect! I’m really impressed with the performance of Timo Boll! I really hope that there will be the next generation in EU. That can compete with the young generation from China, and Japan. Until now, the veteran 40 years old, Timo Boll is still the leader of Europe. Before 2018, Fan Zhendong is always behind Ma Long’s shadow. In some moments, Fan Zhendong lost of motivation. But now, since he is the World Ranking Number 1. This is the era of Fan Zhendong, the new leader of table tennis. He is now considered as the main player of China Team. The core player will participate in the Olympics Tokyo 2020. Fan Zhendong is only 21 years old! The best age to grow and win!